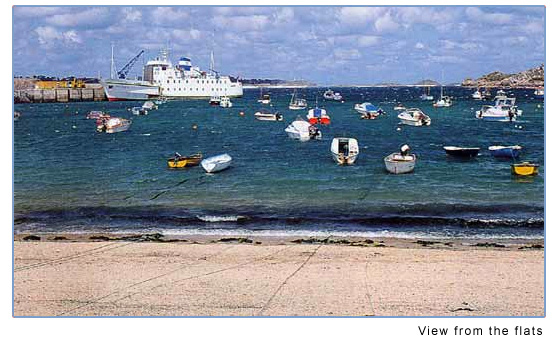 Isles of Scilly's Harbour Lights and Smugglers Ride Holiday Flats are situated in a wonderful position right on the Town Beach (St Mary's) with superb views over the town, beach, harbour, quay and beyond Tresco and Round Island. On the south side, there are views over the town, yet we are set back from the main street in the Thorofare. 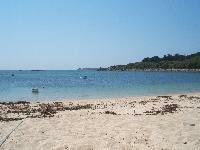 Local shops, the airport, bus stops, and the quay are all within a short walking distance. You can venture out to see the other islands from the quay, from which numerous inter island launches are based. As an alternative St Mary's offers a wide variety of activities from golf, tennis, squash, windsurfing, hourse riding to swimming, walking or just having a relaxing time on the glorious beaches. Our self catering flats holiday flats are registered with the English Tourism Council. We are also members of Island Tourism.